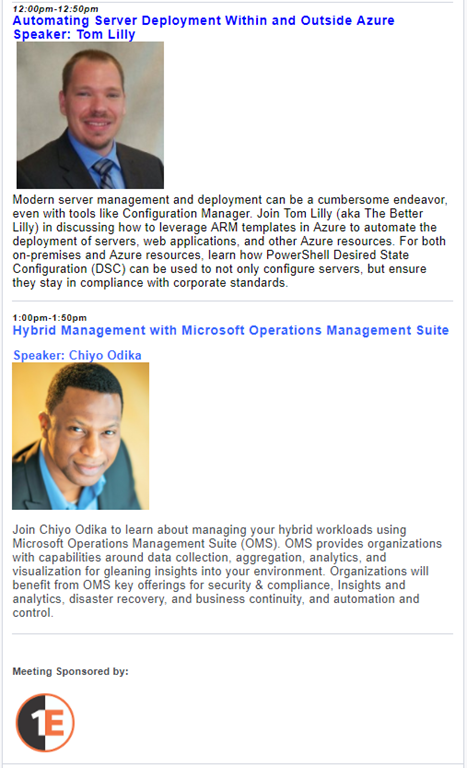 Last week I presented a session on Hybrid Management with OMS at the Chicago Systems Management Users Group (CSMUG). This meeting was held at the Microsoft Offices (MTC) in Chicago. 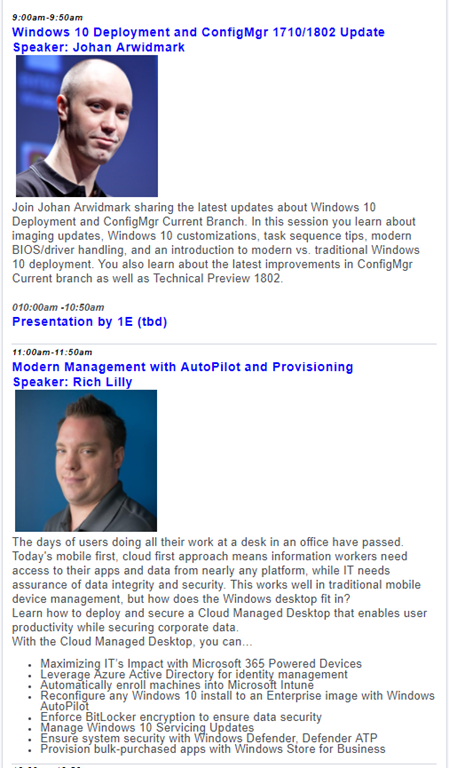 The presenters for this session were Johan Arwidmark of ConfigMgr fame, System and datacenter management experts, Tom Lilly and Rich Lilly, and me. The meeting was sponsored by 1E. The CSMUG meets several times during the year to collaboratively share knowledge with the community about new products, features and capabilities for systems and enterprise management. Meetings will also feature experts in various technology areas. These experts will be available to field questions, and explore various scenarios and product use cases with attendees. Chicago System Management Users Group (CSMUG) is dedicated to technology enthusiasts who are interested in learning and presenting on all things relating to Microsoft System Center, Enterprise Mobility Suite, and more. The group serves the Greater Chicagoland area (Chicago and its surrounding suburbs), but welcomes attendees from far and wide. Follow the @CHSMUG on Twitter for event updates and other information.